Stephen Bloschichak, 78, of Frackville passed away early Saturday morning at Schuylkill Medical Center, East Norwegian St., Pottsville. 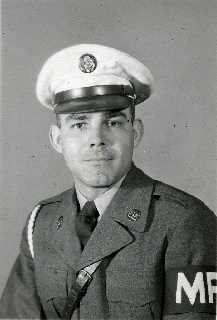 He served in the US Army during the Korean War with the 515th Military Police Company, Fort Lee, VA.
Stephen last worked for Keiser Aluminum, the former Mirrorwall, both of Port Carbon and previously for Aetna Steel, Pottsville. He was a member of the Holy Ascension Orthodox Church, Frackville; United Steel Workers of America and a lifemember of the American Legion Post #398, Frackville. He was preceded in death by a grandson Scott L. Bennett, January 10, 2013; a sister Sandra Grosser; seven brothers; Andrew, Nicholas, Joseph, Theodore, Russell, Peter and Ronald Bloschichak. Grandchildren; Andrew, Aaron M. Aleksander P. and Stephen, III, Bloschichak; John Ross and Tanya Teijaro and Larry, III and Allyson Bennett. A great granddaughter Gianna Sadusky; many nieces and nephews. Funeral Service with will be held at 10:00 Tuesday morning in Holy Ascension Orthodox Church, Frackville with the Very Rev. Archpriest James Jadick as celebrant. Relatives and friends are invited to a visitation from 6-9 Monday evening with Parastasis at 8:30 at the Albert L. Gricoski Funeral Home and again from 8:30 -9:30 Tuesday morning. Interment with Military Honors will be in Holy Ascension Parish Cemetery, Englewood, Frackville.